Cheap Dice - 24 Ct. 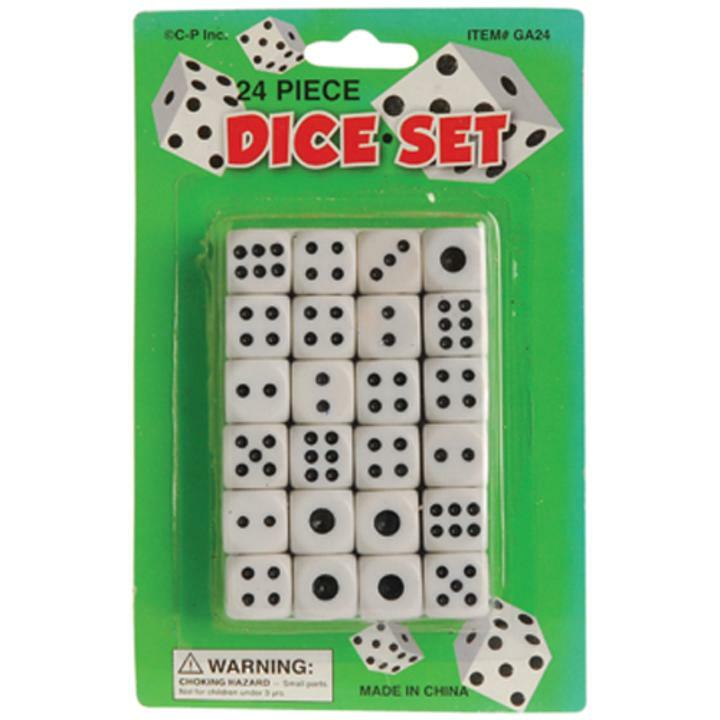 This set of dice is perfect for a large event where dice are needed. Casino dice are a great addition to your party supplies for any casino themed event. 24 pieces per pack. L: 4.75 in. W: 0.65 in. H: 8.2 in.